Last month one of Australia’s longest running solar tech companies, GreatCell Solar, went into administration after the double blow of the death of their lead scientist and a failure to secure funding for its Dye Solar Cells prototype facility. GreatCell Solar have unfrotunately had to call in administrators in December 2018 due to the death of their chief scientist and a problem with funding. “The decision follows a series of unfortunate and unwelcome developments in recent weeks, including the untimely death of chief scientist Dr Hans Desilvestro in a mountaineering accident on 10 November,” Greatcell (ASX:GSL) told investors in mid-December. According to Stockhead, GreatCell has developed a third generation photovoltaic (PV) technology called Dye Solar Cells (DSC). DSCs are based on dye-sensitised films and are able to convert any visible light (including indoor low light) into electricity. They have been trying to get more funding for the tech but they’ve had problems with that too. “This is an extremely disappointing outcome for Greatcell Solar, its directors, employees and shareholders given the considerable investment already undertaken over many years to achieve an advanced, pre-commercialisation status for its 3rd generation photovoltaic technology. “The Company is widely considered amongst its international peers to be pre-eminent in the field of Perovskite Solar Cell PV technology” the statement continues. “With the appointment of Administrators, BRI Ferrier, the outlook for shareholders is uncertain at best” it reads. Fingers crossed they’re able to secure some more funding and get back to work with a new team. Greatcell Get $6m Perovskite Solar Cell research. Solar Tarp – foldable, portable solar power. California based Lipomi Research Group are working on creating a solar tarp – which would have myriad uses for society. Let’s learn more about how these upgraded solar panels could help parts of the world where they don’t have access to regular electricity – and some of the technological challenges they’re facing trying to complete the project. The Lipomi Research Group are focused on “identifying ways to create materials with both good semiconducting properties and the durability plastics are known for – whether flexible or not”. They’ve been tinkering with perovskite solar cells, which are 1/1000 the thickness of a silicon layer in a solar panel. Darren Lipomi of the Lipomi Group, who is also a Professor of Nanoengineering at the University of California, said that their goal is to create flexible solar panels which are as efficient as conventional silicon but don’t have some of the drawbacks of it. The goal is to develop flexible solar panels which are thin, lightweight, and bendable. Lipomi is calling their idea a ‘solar tarp’ – which refers to a solar panel which can be expanded to the ‘size of a room’, but balled up to the size of a grapefruit when not in use. The issues here are finding a molecular structure to make the solar panels stretchable and tough – this involves replacing the silicon semiconductors with materials such as perovskite. They’re also taking a look at polymer semiconductors / organic semiconductors (based on carbon, and used in place of perovskites or silicon in a solar cell). These aren’t as efficient, but are far more flexible and extremely durable. According to The Conversation, the sunlight that hits the earth in a single hour contains more energy than the whole planet uses in an entire year – so there’s plenty more work to do on improving how we utilise the sun! We’ll keep an eye on the solar tarp project and let you know when it reaches the next stage. Scientists the world over have been trying to create inexpensive, highly efficient solar cells out of perovskite, and this week some new research has come out which moves us another step in that direction. 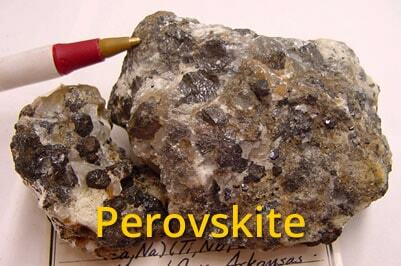 Perovskite degradation occurs rapidly when the naturally occurring mineral exposed to ambient air, which is quite the issue for a solar cell. According to the NREL team,Researchers at the U.S. Department of Energy’s National Renewable Energy Laboratory (NREL) have manufactured an environmentally stable, high-efficiency perovskite solar cell. Another step closer to commercial sale of perovskite solar cells! CleanTechnica have written an article about the NREL Research on perovskite deterioration in ambient air and are reporting that the research team have successfully tested a perovskite solar cell in ambient conditions with no protection for 1,000 hours – with a fantastic result that 94% of conversion efficiency was retained. The scope of the research is a little over our head, but if you’re interested in learning more about the study “Tailored Interfaces of Unencapsulated Perovskite Solar Cells for >1000 Hours of Ambient Operational Stability” you can click the link to read about it via Nature magazine. In simplest form, previous methods of protecting the perovskite have focused on creating a protective enclosure around the solar cell. Instead of that, they focused on the ‘weakest link’ in a perovskite solar cell and replaced it with a different molecule. We’ve previously reported on Poland based Saule Technologies, who signed a distribution agreement with the Skanska group to roll out perovskite solar panels in Poland in 2018. A collaboration between the Ulsan National Institute of Science and Technology and the Korean Research Institute of Chemical Technology has resulted in a hybrid organic/inorganic perovskite solar cell with 21.2% efficiency being created. 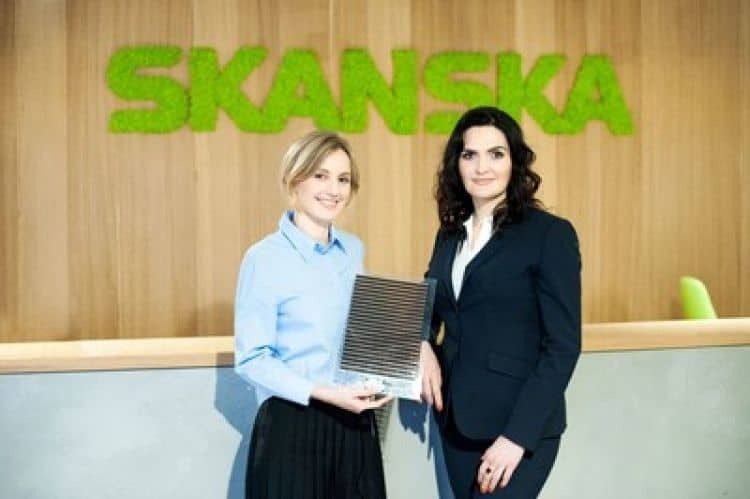 Poland based Saule Technologies have signed a distribution agreement with the Skanska group to roll out perovskite solar panels in 2018. This is the first company to bring the technology to market and it’s an exciting step forward for alternatives to the efficiency limited (read about the Shockley-Queisser limit) conventional silicon based solar panels. We’ve previously written about research into perovskite solar cells and Greatcell’s $6m grant towards Perovskite Solar Cell research. But this is the first time they’ve been offered to the public – so it’s a huge step forward for the technology. Saule Technologies are a Warsaw based start-up who will partner with multinational project development and construction firm Skanska AB to bring the semi-transparent perovskite solar modules to commercial office buildings. According to PV Tech, the first panels will be installed on office buildings in Poland later this year. On a press release on their website, Skanska said they have over €20 million in grants for their research and are currently building large-scale, prototype production line. They have been “working on the application of ink-jet printing for fabricating free-form perovskite solar modules since 2014”, so it’s exciting to see their research enter the next phase. “It is not a science-fiction vision anymore. Working with talented scientists from Saule, we are now turning fiction into reality and creating buildings which are more energy efficient and carbon neutral. Up to now this has not been possible on a large scale. Climate change is one of the biggest challenges the modern world is facing and it contributes to extreme weather events that are increasing in frequency and severity around the world. As such there is increasing legislative pressure to run businesses in a sustainable and attentive manner,” said Katarzyna Zawodna, CEO of Skanska’s commercial development business in CEE. Greatcell Solar has been awarded a grant by ARENA (Australian Renewable Energy Agency) to continue their research into producing perovskite cells for solar power generation. We’ve written about perovskite solar cells a few times this year – with the technology showing great potential and shaping up as an inexpensive alternative to conventional silicon cell technology. Queanbeyan-based Greatcell, formerly Dyesol, will spend $17.3m on developing a world-class plant which will scale up their manufacturing capability of high quality, large-area perovskite devices. ARENA will fund $6m of the project following a successful previous grant of $450,000 to continue work on the technology. “In the long term, this technology has the potential to provide a cost competitive and clean energy solution,” Caldwell was quoted as saying. Greatcell signed an MoU (Memorandum of Understanding) with Jinko Solar earlier this year, which gives Jinko access to Greatcell’s perovskite solar technology. Their goal is to partner up and start manufacturing and selling perovskite-based solar on a large scale. 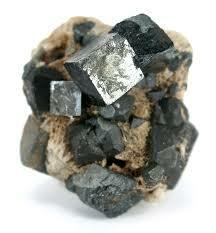 According to Nature Energy, there’s been another breakthrough with the perovskite cells – incorporating the large organic cation guanidinium (CH6N3+) into methylammonium lead iodide perovskites has helped improving the stability of the perovskites (which are prone to decomposing over time – one of the main problems researchers are facing). With the addition of the guanidinium, perovskite solar cells are already working at 19% efficiency for 1000 hours under full-sunlight testing conditions – with silicon solar cells plateauing at around 25% due to the Shockley-Queisser limit. For that reason, we’re pouring money into finding an alternative to silicon solar cells – and it looks like perovskite has the potential to take over. Exciting times – watch this space and we’ll continue following the research and keeping you updated!